The world is falling apart!!! That's exactly how I felt when my credit score sunk to its lowest level. I felt defeated. I felt the world was against me. It felt like it's the end of the world. Like it or not, your credit score dictates everything from whether you’re approved for a credit card application to what rate you’re offered in a mortgage. In a nutshell, it is important to have a good to great credit score. There are hacks on how you can improve your credit and credit score. If you make the right moves, you can get your credit score back up to what most lenders consider ‘good’ – 670. When I was indebted, my credit score sank to around 550. I’ll tell you that seeing that score was a turning point in my life. It was a revelation, to say that least, that I needed to get back up. So, if you’re score is not in the place where you want it to be and you’re feeling down, I can understand where you are coming from. Having said that, believe me when I say that it gets better from here. So, where do you start from here? That’s a good question. The first thing you need to do is find out what your credit score is and understand your credit. To do this, you need to get your credit score reports. But don't pay a credit reporting company to give you your credit information. 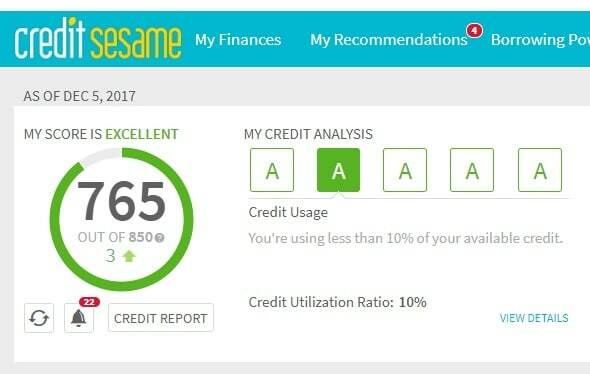 Credit Sesame offers a fast and easy way to get your credit score for FREE. It's a service that shows you your credit scores and explains your credit in simple terms, which helps you put things in perspective. It also lets you know if you are overpaying your credit card and loan. Think of it as a financial check without any costs attached. Find out now what your credit score and credit look like. When you know your score, follow these hacks can help you improve your credit score. 1. Clean up and dispute negative information. Pro tip: When accounts are in a dispute, those accounts won't be included in the FICO calculation. This is one of the best credit score hacks no ones has told you about. You need to always dispute negative credit data in your files that are outdated, can't be verified, or erroneous. By law, credit agencies are required to indicate on your credit report any account that's on a dispute. When an account is on a dispute, that account isn't included when your FICO or VantageScore is calculated. 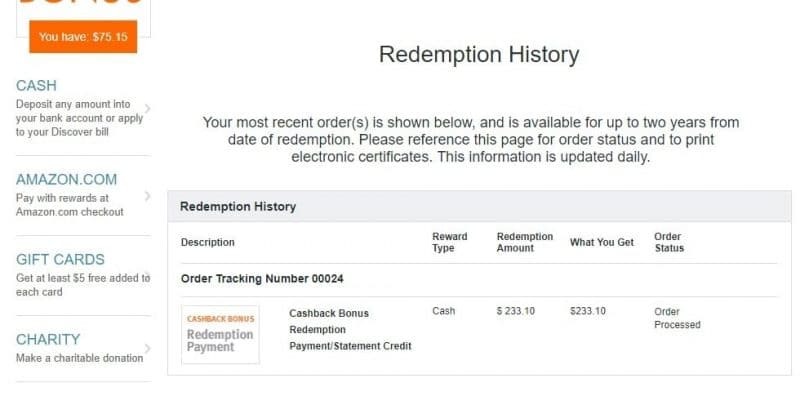 To jumpstart your journey to improving your credit, go to AnnualCreditReport.com and request a credit report from the trusted nationwide credit reporting companies like Equifax, Experian, and TransUnion. You are entitled to get fa ree report from these companies each year. Once you have the reports, examine each report thoroughly and look for any accounts that show late payments or unpaid bills. The report should tell you where to send the dispute information. Side note: Keeping your credit report clean would help you get the job you want. Some employers pull credit reports before making their hiring decision. Do it also for your credit score! To build or rebuild your credit means you also need to pay your bills on time and pay them off fast. That said, it's difficult to keep up with your bills when you're paying too much on interest and penalties. I've been there and it's dishearting. Being in a debt situation takes a big toll on your family, relationship, and well-being. For sure, your intention is in its proper place, but it's so hard to make it work when your interest payments are much higher than the principal amounts. I feel you because I was in the same boat you are right now. What my wife and I did was we took a personal loan to consolidate all our bills. I took a loan with 4.99% interest rate to pay off my debts with 14.99%. 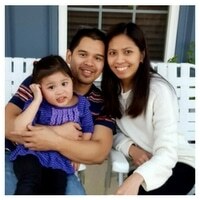 This loan took a lot of heavy burdens away from our family. In the process, I saved over $9,000 on interest payments. We paid off our $40K debt, saved over $5K on interest payments, and saved over $70K in 2.5 years (all at the same time) while living on a meager $31,000/year. Read the story here. You are probably thinking right now that it may not sound like a savvy decision since your taking a new debt on top of all the debts you have now, but it is a sound strategy. This was what my wife and I used and it worked. Personal loans typically have lower interest rates than those of your credit cards. A good place to start is with Upstart, which lets you borrow up to $50,000. It compares interest rates from several lenders, free of charge! We got our loan from Upstart. A personal loan helped us free our mind from stress and endless thoughts of what ifs. It even helped us not rush things out. I feel it would do the same for you. Click here now to see what your rate is with Upstart and start paying off your debt faster than you think you can. 3. Use your credit card wisely and to your advantage. Buy something with your credit card every month, but never overuse it! In short, only use what you can afford to pay. You can use it to pay for gas, buy grocery or even pay for utility using your credit card. Just remember to pay the balance every month to avoid paying interest. This way, you have a positive activity on your credit report every month. Don't stay away from using your credit cards especially when they give you a lot of perks. If you have credit cards that earn rewards, use them to your advantage. If you don't have those, hold off until your credit score is good to get credit cards, which most require good to great credit scores. For example, my wife and I use our Discover card and Capital One QuickSilver for any of our purchases. These cards give us 5% rotating cash back and 1.5% cash back respectively. Between those two cards, we have made over $600 in the past 6 months alone (see images below). One trick we do is we pay all the charges before the close of the statement. This way, we still get the cash and have our accounts reported to the credit bureaus with $0 balance. This trick helped my score jumped from 550 to $750 in a short time. 4. Never max out your credit cards. Credit Utilization is a ratio that divides your outstanding balance on a revolving account by your credit limit on the account. A good credit card utilization rate is less than 30%. You should keep your balance below 30% of your credit limit. Say you have a credit card limit of $1,000, you must keep your balance below $300. Better yet, your credit utilization should be less than 15% (personally speaking). In other ways, The lower, the better. Piggyback is one where you take advantage of someone else's good credit rating and lengthy credit history. In other words, be an authorized user of credit cards of someone who has a great credit score. This is most commonly done by couples where the individual with good or excellent credit permits the other person to be included in his/her account, typically a credit card. It's also used when parents with great credit add their kids as authorized users – a great way to build your kids' credit. Raising your credit card score isn't always difficult as many people say. I was able to raise my credit score by 200+ points in less than 2 years with simple credit score hacks discussed above. Remember that before you do anything, always check your credit with Credit Sesame. You'll thank yourself by checking your credit first before making any move. What do you think is the best strategy to increase credit score? Which of these credit score hacks will you try? Are you ready to make positive changes to your credit?